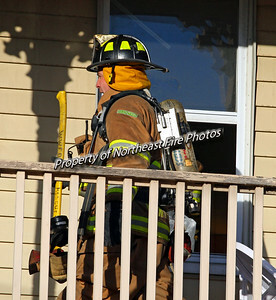 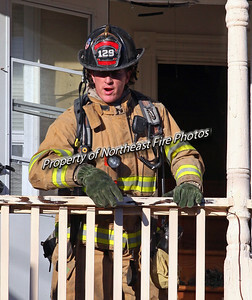 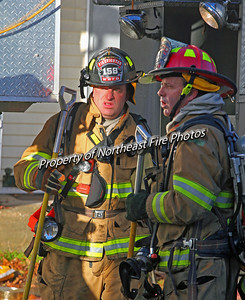 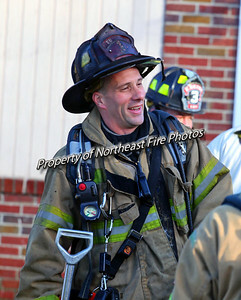 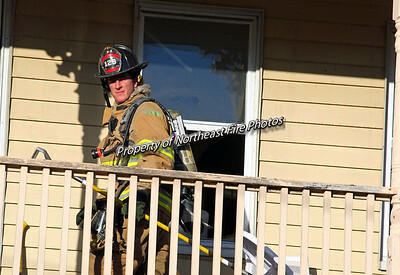 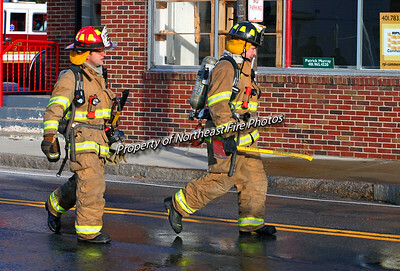 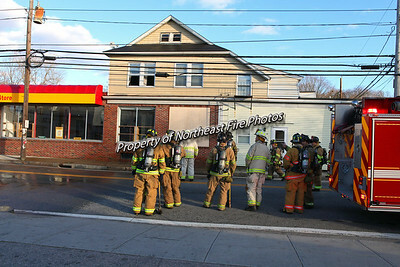 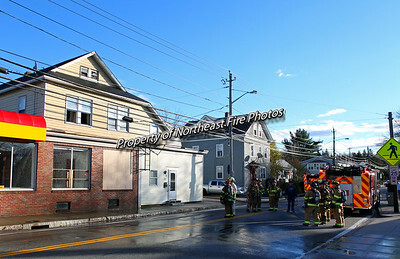 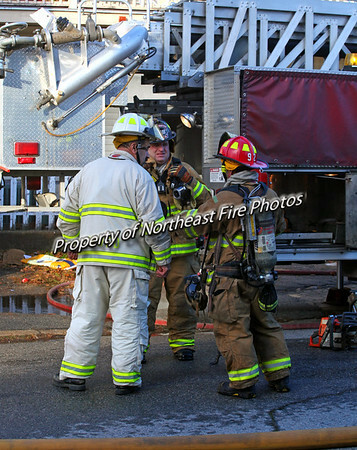 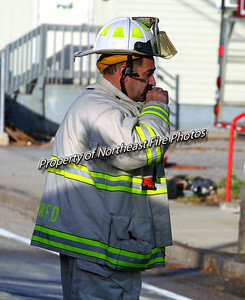 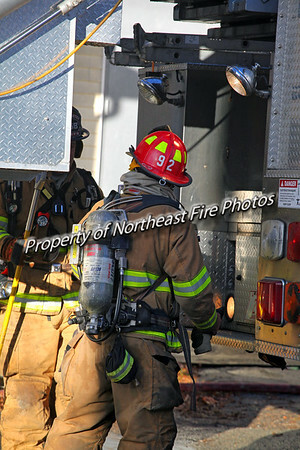 On the afternoon of November 24, 2012, West Warwick firefighters responded to the 1600 block of Main Street for a house fire. 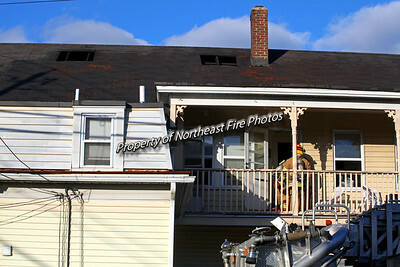 On arrival, Engine 4 had smoke showing from the top floor of a 2.5 story building. 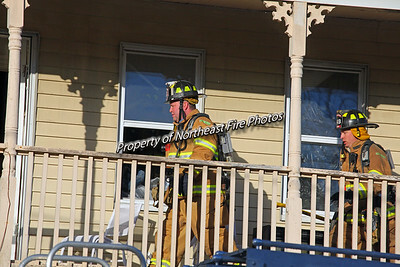 Crews had the fire knocked down quickly. 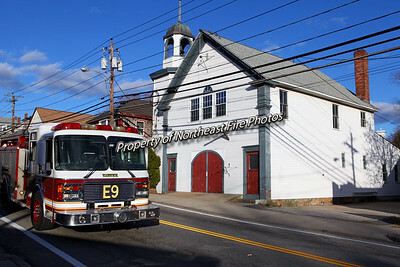 The building behind Engine 9 in the photos is the Crompton Fire Station, closed I believe in 1972, when they opened the new station on Cowesett Avenue. 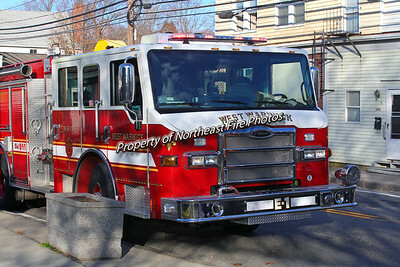 I liked the new engine in front of the old firehouse.